Full Liquor, Super cheap rent, seller financing! Here is a great opportunity to get into a long established location in the heart of one of the largest cities in San Diego County. Seller will consider financing with your good credit. Location has unbelievable rent, (.75/ft.) 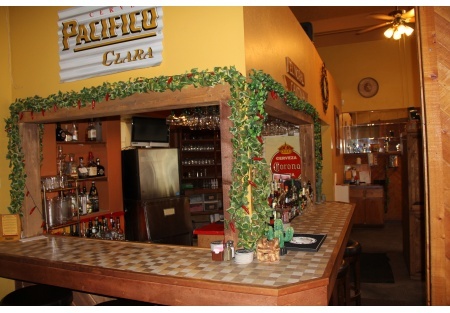 a full liquor license, great location and ability to convert to any concept you would like. Looking for a sports bar location? You won’t find a better opportunity than this. With rent at $2500/month you can’t go wrong. Live entertainment license in place, lines are out the door on weekends! Restaurant has a banquet room that can be set up for a variety of different uses. Full kitchen ready to produce for any concept you would like. Continue as current cantina/Mexican food concept or bring your own idea, this is the place to make it happen. Neighbors include civic center, large restaurant district, residential and a huge hospital campus. The city is business friendly and this location could reap the rewards of the many events that this business friendly city sponsors thought out the year, literally driving traffic to your door. Seller is an absentee owner looking to relocate. This is an ideal opportunity for someone looking to operate the current concept as an owner operator as the sales base is already here in this very well established restaurant. Have a new and better idea? It will be nearly impossible to find a location that will top all of the features you will find here. Restaurant is 3500 square feet and the rent is $2500/month. They have a nice outside patio area, plenty of free parking and 9 years remaining on the lease with an option for 5 more after that. The most important part of your investment is secure for a very long time. Don’t miss this outstanding opportunity to find the restaurant/bar of your dreams.